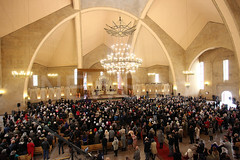 YEREVAN. 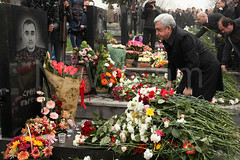 - At a conference on judicial reforms held on April 20, Armenian President Serzh Sargsyan stated he expects the Armenian judicial system to give new impetus to the investigation into the March 1 2008 events. Despite some progress in judicial reforms, the task of forming an efficient system cannot be considered accomplished. Universal interpretation and application of laws by courts must become one of the aspects of judicial reforms, the Armenian leader added. The president-chaired meeting inaugurates a series of discussions of judicial reforms. Participating in the meeting were Armenian Prosecutor General Aghvan Hovsepyan, Minister of Justice Hrair Tovmasyan, Chief of the National Security Service Gorik Hakobyan, Chief of Armenian Police Alik Sargsyan, other officials.